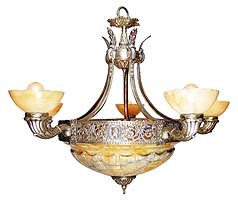 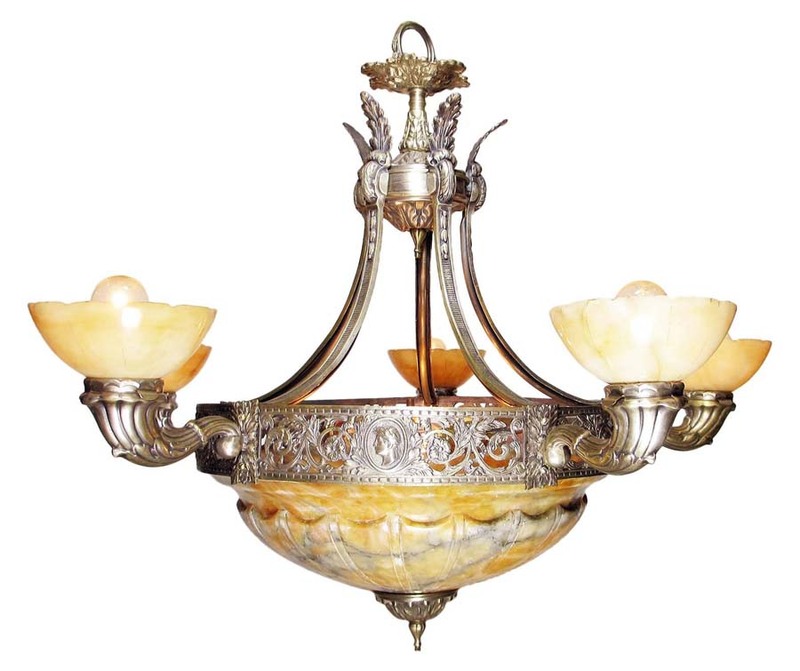 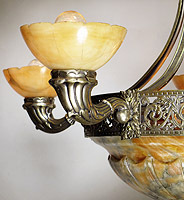 An Italian Early 20th Century Art-Deco Silvered Bronze and Carved Caramel-Color Alabaster Five-Arm and Eight Light Figural Chandelier. 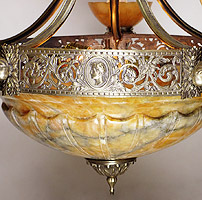 The intricate pierced floral rim with profile busts of Julius Ceasar and surmounted with five cornucopia candle-arms, each supporting a an alabaster cup-shape shade, all above a large ovoid-shaped carved veined alabaster plafonnier. 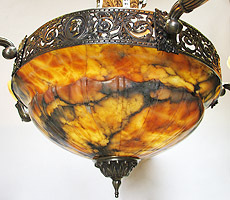 Circa: 1920.